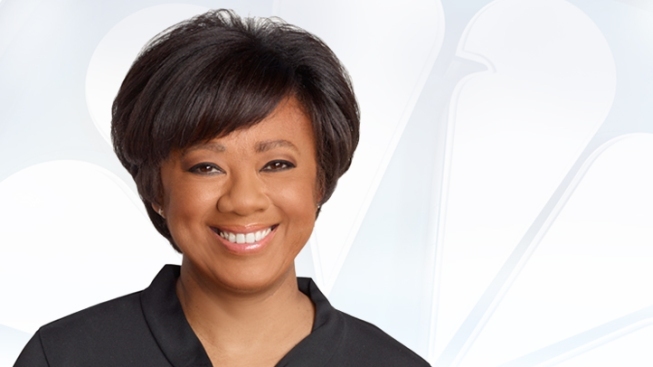 One of the nation’s most recognized and trusted weather forecasters, Janice Huff serves as Chief Meteorologist for NBC 4 New York, delivering weather reports for the station's 5 p.m., 6 p.m. and 11 p.m. newscasts. A member of the New York State Broadcasters Association’s Hall of Fame, Huff has provided accurate and informative weather information to Tri-State viewers for more than 20 years. She joined NBC 4 New York in January, 1995 and held a variety of positions at NBC. Huff came to WNBC from KRON-TV, the NBC affiliate in San Francisco, where she was the primary on-air meteorologist for the station since 1991. She joined that station in 1990. Huff has been regularly recognized for her professional contributions to broadcast journalism and to the field of meteorology. In addition to her induction into the New York State Broadcasters Association’s Hall of Fame, Huff was awarded the prestigious Allen B. Dumont Broadcaster of the Year Award from Montclair State University in 2015. In 2011, Huff was honored at 1199 SEIU / Employer Child Care Corporation’s “5th Annual Care for Kids Gala” for her dedication to children in the New York City area and to children around the world. The funds from the “Kids Gala” went directly to supporting education programs and services for children. In 2012, Huff received high recognition for her dedication to foster care children at the New York City Court Appointed Special Advocates Spring Reception (CASA-NYC).” Huff works with CASA- NYC to help protect the needs and well-being of children in foster care, making sure that they are placed in safe permanent homes. Huff has served as a mentor to young journalists throughout her career and believes strongly in giving back to the community. She was awarded the McDonald’s “2011 Black Media Legends” award, and was honored by McDonald’s as one of 24 esteemed ‘Black Media Legends’. Huff’s image appeared on McDonald’s 2011 Faces of Black History Poster as well as on food tray-liners throughout New York, New Jersey and Connecticut. Huff was cited in 2002 as a “Grad Made Good” by her Alma Mater, Florida State University. She has also received the Police Athletic League’s “2002 Woman of the Year Award;” a 2000 YMCA “Champion for Youth” honor; and the City of Hope’s “Spirit of Life” award for her professional and personal example to New York City youth. The American Lung Association named Huff a “Clean Air Hero” for her work in promoting cleaner air and healthier lungs. Additional professional awards include Bronx Community College’s 1995 “Kaleidoscope Award” for excellence in television meteorology; a St. Louis Emmy Award for “Best Weathercaster” in 1988; and the American Meteorological Society’s Seal of Approval for Television Weather casting in 1985. Huff is a member of the National Weather Association, The American Meteorological Society, the National Association of Black Journalists, the National Academy of Television Arts and Sciences, Alpha Kappa Alpha Sorority, and the Friars Club. A native of Manhattan, Huff graduated from Florida State University at Tallahassee with a major in Meteorology. She is married and resides in New Jersey.